(NDTV Gadgets) – Yahoo on Thursday pushed out a major update to its Flickr apps on mobile and desktop platforms, as well as the Web service, completely overhauling the UI. The updated apps for Android, iOS, Mac, and Windows are now available. 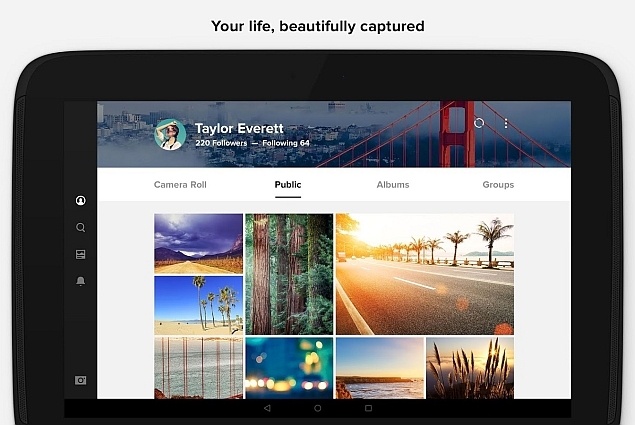 The design changes help users better organise their photos along with easy locating and sharing of images and videos. The company says the major UI design revamp of Flickr will let users take advantage of the 1TB of free storage available to them. That amount of storage could pose a challenge for certain users when it comes to sorting out the larger number of images and videos they upload to the service. “At Flickr, we’ve dreamed of creating a space where you can store and manage a lifetime’s worth of memories – imagine having half a million photos in one place! We’ve redesigned Flickr and now you can easily and effectively upload, view, organize, edit and share your lifetime of photos and videos across desktop and mobile. Today, we’re introducing a number of exciting tools, as well as a complete refresh to our mobile apps, that will help you take advantage of the 1,000 GB of free space we gave you in 2013,” said Tim A. Miller, Head of Engineering, Flickr on the company blog post.